Featuring an astounding camera of 13 MP, Samsung Galaxy J7 Nxt comes with a 2 GB RAM and 3000 mAh battery that’ll easily last for a day with all the applications running. It is made super slim and has AMOLED capacitive touchscreen display. You are offered 16 GB of onboard storage and up to 256 GB of expandable storage. The device runs on Android Nougat OS. If you are thinking of buying this super sleek phone, check out the 10 best cases for Samsung Galaxy J7 Nxt in this list below. Made from environment-friendly polycarbonate, this is a hard shell back cover case for J7 Nxt to protect your phone from shocks and debris. The advanced UV fuel injection process makes the unit comfortable to hold. The matte coating offers a comfortable hand feel. Also, the convex pattern design makes the unit anti-skid, dust-proof, anti-stain, and anti-fingerprint. Effectively protects your phone from scratches and scrapes. This is a full coverage flip cover case for Galaxy J7 that is made from a combination of polycarbonate clamshell and PU leather exterior. The case exterior uses a salient point design that makes the unit drop and shockproof. A super fine lining on the flap’s interior protects the phone’s display from scratches and scrapes. The joint of the flip cover and bottom shield are smooth and durable. Available in black and gold colours! This back cover case by Kaitelin flaunts polycarbonate for an ultimate premium look and excellent hand grip. Additionally, the exterior is also made anti-fingerprint, scratch-resistant, and impact proof. The precise mold ensures an exact fit. It is made slim yet durable, and the unit easily snaps on and off the phone. Protects your phone from scrapes, dust, debris, daily wear, and tear. Hold your smartphone in one hand using an anti-static and elastic grip holder that improves all interactions with your screen including menu navigation. The sturdy yet flexible case protects your phone from scratches, scrapes, dust, debris, daily wear, and tear. Engineered to have an exceptionally slim body, this case offers maximum protection to your device without adding any additional weight or bulk. Your device is protected from all those heart-throttling accidental drops and falls. The premium quality tough PU leather resists dirt and stains. It is easy to clean and does not have a plastic odor. Offers an exact and snug fit. Available in seven different colors! 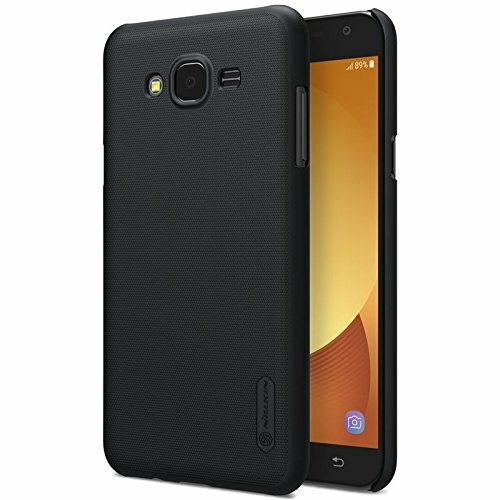 This back cover case for Galaxy J7 covers the back, edges, and corners of your phone well. It’s surface also uses salient point design to make the unit wear-resistant, anti-skid, dust-proof, anti-fingerprint, and easy to clean. The UV painting technology offers a comfortable sense of touch and elegant appearance. The package comes with case, screen film, screen cloth, and de-dusting sticker.